Sessions are generally held from 5:30 to 9 p.m. on the first Thursday of the month from October through May. Attendance at the day-long Orientation Retreat in September is mandatory. This session is typically the third Thursday in September from 9 a.m. to 4 p.m. Some sessions may change to a different day of the month and could be scheduled during the day time to get the best possible session/panelists/locations. 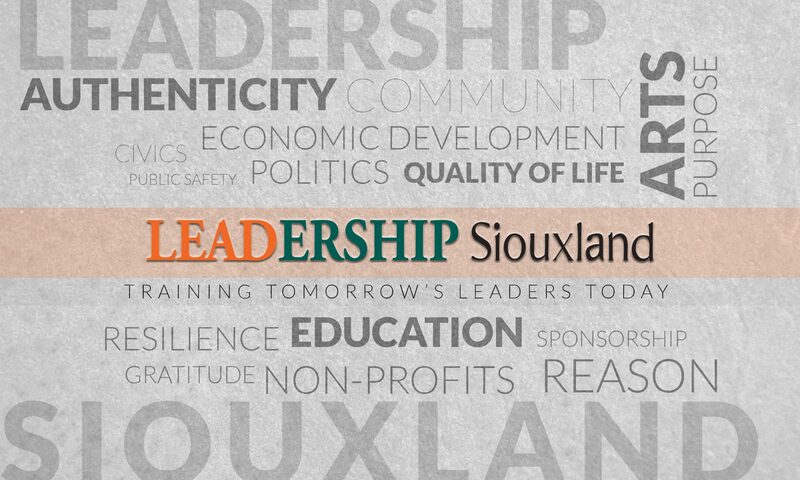 Please plan to fully commit to the Leadership Siouxland program. Attendance at all sessions is required to provide a successful class. Participants who miss a class will be required to make it up in some fashion. Participants who miss more than one class may be dropped from the program without refund. If you are unable to make a commitment, it is not in your best interest to apply at this time. Fax: 712.500-3279, or email to info@leadershipsiouxland.org. Pay your tuition by check or by credit card! All major credit cards accepted. To pay online, click the appropriate button below. $625 Payment by Sponsor. Remaining payment to be made separately by Student. $338 Payment split between Sponsor and Student. Each must pay separately. $50 Payment by Student. Remaining payment to be made separately by Sponsor.